I get ahead of myself. Overconfident. So when I mixed up this dough from Alice Waters and it didn’t look right (as you’ll see below) to me, I was concerned that I had done something wrong. Had an off-measurement, or my yeast was dead (it hadn’t been quite as active as I’d wanted it to). Maybe I had mixed it on too high a speed, too soon? So when it mixed up into the… vulgar-looking shape that you see below, I wasn’t exactly inspired to confidence. How could anything that looked like that rise to make even serviceable dough? Even so, I left it to rise while I worked up another batch of dough from another recipe – the Baking Illustrated recipe found here, actually. Lo and behold, almost three hours later, that obscene-looking lump had coalesced into something that looked remotely like it might one day become pizza. The backup batch still had another hour or two to rise, so I took a leap of faith and dumped the dough out on the counter. Divided and shaped, it looked like dough that I could be familiar with, and I went from there. Turns out that dough is the base of the best pizza I’ve ever eaten – or made, oh ha ha – and that is concurrent with the rest of the residents of the house. It has the perfect amount of oven spring, of chew and absorption, of clean taste. Absolutely wonderful. And educational, too. A few tips before the recipe: she recommends rye flour, and if I had it I would probably use it, but I used King Arthur Whole Wheat Flour instead and it turns out fine either way. Also, to prevent any scatological confusion next time I make this (and I will), I’m going to hand-knead it. The time is negligible compared to something like ciabatta or the like, and I think the results will actually improve. Although how I could improve on the awesomeness that was this pizza is hard for me to imagine. I’m aware that the recipe is copyright; I’m posting this with full rights to Alice Waters, as it should be, and only posting it because it’s open information available to anyone with a library, Internet connection and/or bookstore. 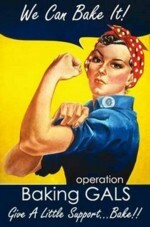 If it’s necessary that I take it down, I have no issue with that. Allow this mixture to sit until quite bubbly, about 3o minutes. 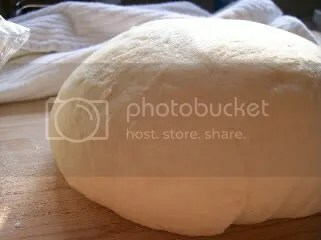 hand, turn the dough out onto a lightly floured board and knead until the dough is soft and elastic, about 5 minutes. If the dough is too wet and sticky, add more flour, but only enough to form a soft, slightly sticky dough. Or use the mixer, fitted with the dough hook, and knead for about 5 minutes. 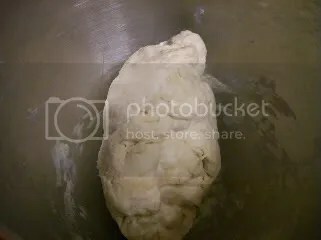 The dough is the right texture when it pulls away from the sides of the bowl of the mixer, but still adheres to the bottom. A very soft, slightly moist dough will make the best focaccia. … To make pizzas, instead of shaping the dough into a rectangle, divide the dough in two and form each piece into a nice, smooth ball. Allow the dough balls to rest at room temperature, wrapped loosely in plastic, for an hour or so. Flatten each ball into a disk about 5 or 6 inches in diameter, flour lightly, cover and let rest another 15 minutes. Place a baking stone on lowest rack in the oven (remove the other racks for easy access). Preheat the oven to 500F. Gently stretch the disk into a round roughly 10 inches in diameter and put on a floured peel or an inverted baking sheet. 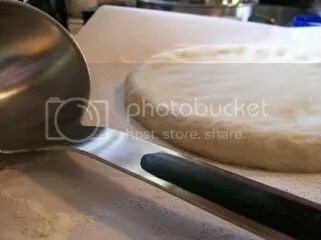 Brush the dough with olive oil and, leaving a 1/2-inch border uncovered, top with your choice of ingredients such as chopped garlic, fresh tomato, and mozzarella cheese; long-cooked onions, herbs, and anchovies; sautéed greens and sausage; and on and on. 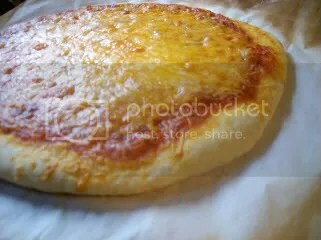 Slide the pizza onto the baking stone and bake until the crust is browned, about 10 minutes. This entry was posted in Cooking, Food and tagged Baking, Bread, Entree, Focaccia, Homemade, Yeast by Kate. Bookmark the permalink. We love to do homemade pizza. It’s something that my daughter is getting to be pretty good at creating — selecting the toppings that is. Thanks for this, very good post (and recipe).